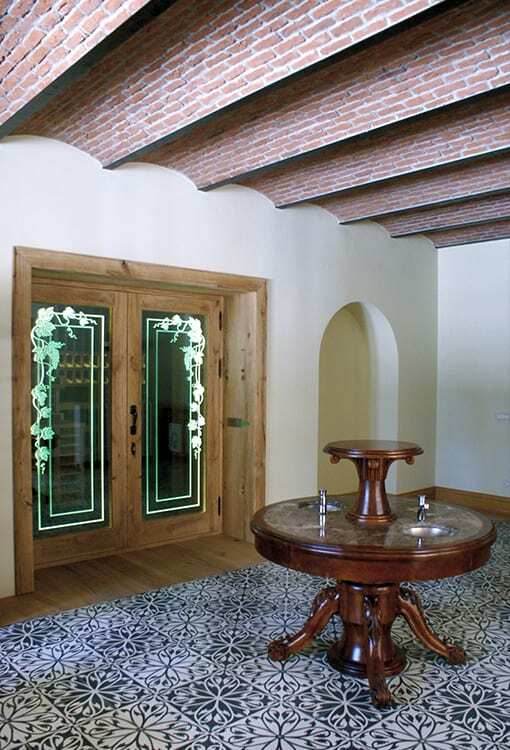 This wine cellar in Akhisar is an example of traditional wine cellar architecture with wooden wine storage units and rustic finishes. 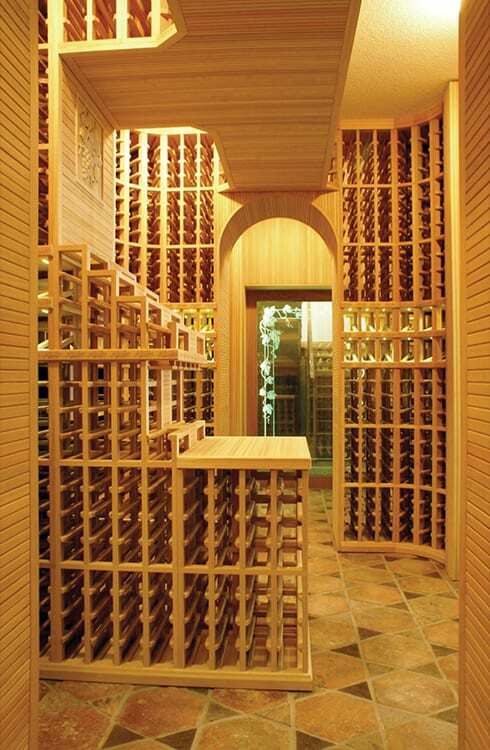 However, the traditional open wooden racking system differentiates itself from others by its exquisite wood workmanship and thoughtful detailing. 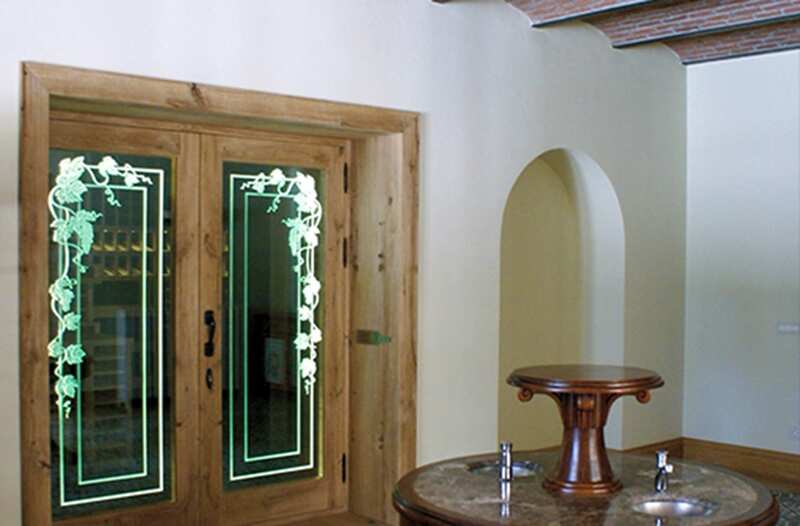 Furthermore, in line with the owners’ aesthetic preferences, the space is decorated with unique works of art and materials. Cotto tablets with hand painted grape illustrations and artistic glass etchings of grape leaves are just two of the highlights. 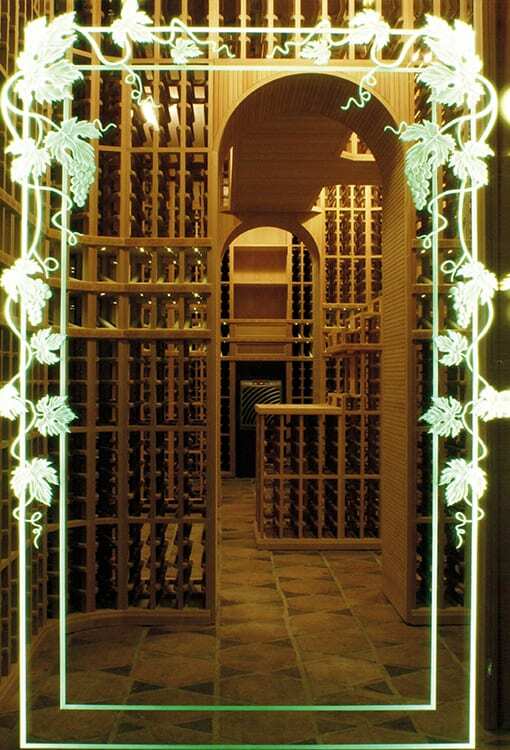 One of the most important features that make this a unique wine cellar is the flooring. The Cotto tiles on the floor originate from the ruins of a 150-year-old traditional Northeastern Turkish mansion. The original pattern was maintained by replacing the ruined triangular pieces with wooden blocks made out of timber from the same mansion.